Promises are easily made, and just as easily forgotten. At Healthy Smiles we believe that you should only ever make promises you can keep. After careful consideration and a lot of thought put in by our team, we have developed this charter of care for Healthy Smiles which we live and work by. This is our promise, and we will endeavour to deliver the best possible dental care with honesty, passion and integrity. Our patients need to express themselves is our priority, and we will give you the time and space for it. We will never rush you or push you into making any decisions unless you have given it a lot of thought and are able to make an informed decision. All our practitioners attend over double the amount of continuing education than what is mandated by law and required. We work with each other as a team so as to deliver the best care to you by the most experienced and skilled dental practitioner. We are often confronted to make a decision on behalf of the patient about their dental care. That is when we ask the question, what would we do if this problem was ours, or we were to treat our own child or a close family member. We will do ethically what is best for you putting your interests and needs first. The best care can only be delivered if the team has a true passion to exceed their own expectations. 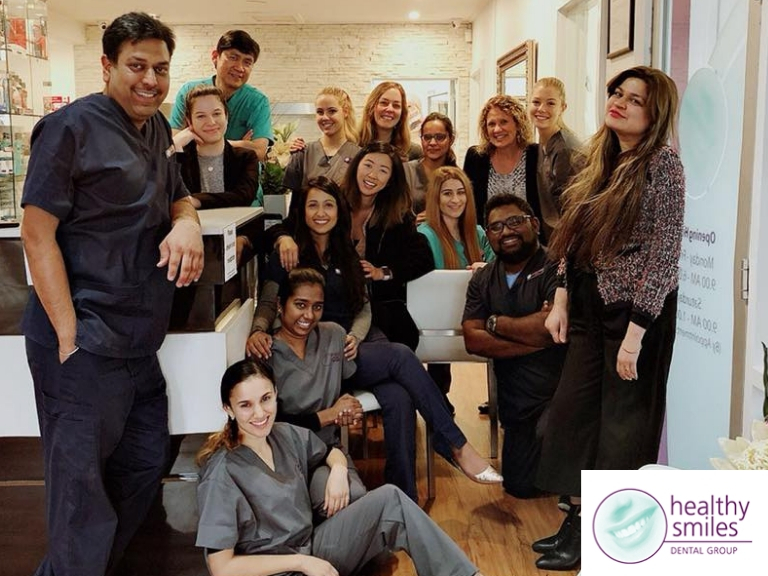 Carefully chosen over the years for their passion for dentistry, the Healthy Smiles team has been developed with a shared philosophy and mindset to continually assess their own dental treatment delivery systems and enhance it by setting high standards. We will never become complacent and will strive to continually improve ourselves. We will not give your personal information to any other organisation for their marketing purposes. We will, with your help, keep your personal information accurate, complete and up to date. We guarantee to correct any error we make on your renewal notice that you bring to our attention. The hardest thing is sometimes to ask for feedback. We welcome all our patients to continually give us constructive feedback to improve our dental care. If things don’t work out the way we planned, we hold ourselves accountable. In consultation with our patients we can take our dental care and delivery to a complete new level. We will make sure we continually ask for feedback and make changes to our procedures and systems so as to deliver optimum dental and oral care in consultation with our patients, team and partners. Book an appointment with the professional dentist near Blackburn at Healthy Smiles Dental Group.